The retro computer hobbyist group MARCH hosted a vintage computer display at the 38th Trenton Computer Festival. 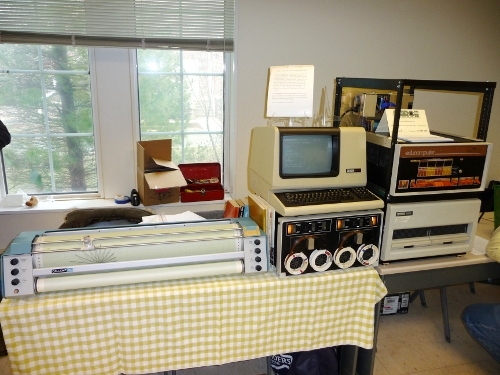 I brought a PDP-8/M Computer, Calcomp 563 Plotter, TU56 DECtape drive, RX02 8" floppy drive, and VT100 terminal for my exhibit. The floppy drive was added at the last minute since the left DECtape drive was not reliable. 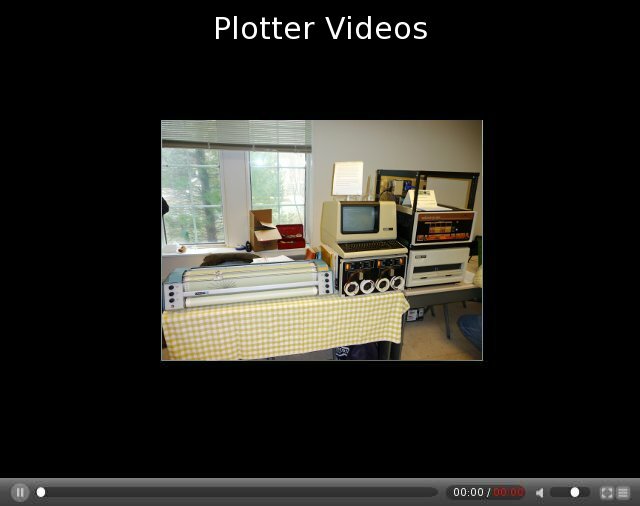 I demoed plotting various plots, plotter art, and the Hershey Fonts. See the pictures and videos below. The plot data was read from the DECtape as can be seen in the portrait video.